Get Free Email Updates Now! 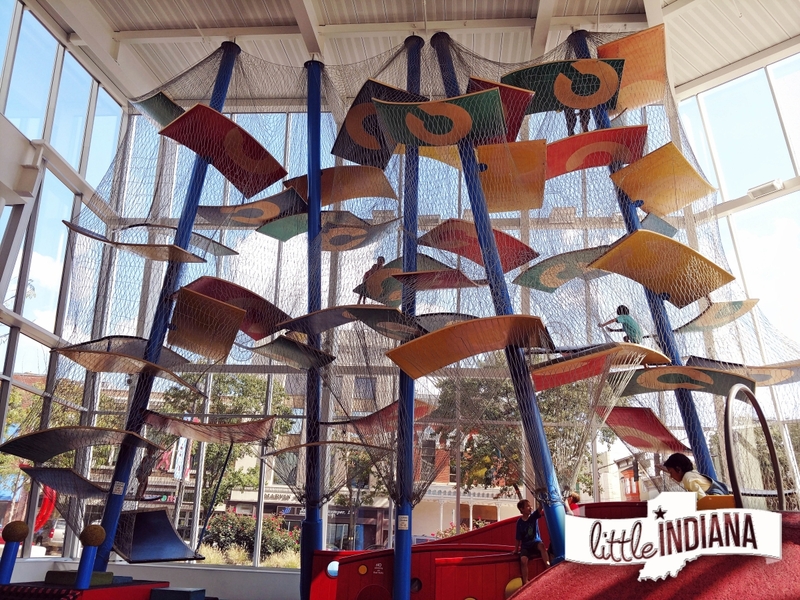 Whether you are just starting to travel with your kids or you are a pro, if you’ve been looking for unique Indiana attractions for the family, you will find them right here. We all have our favorite destinations. Our kids have been to all the big attractions. But what if we try to do things a bit different this year? 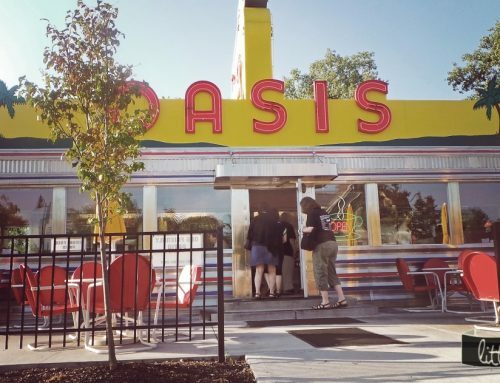 This list is all about pointing out those places that are a bit more under the radar. You won’t typically have to fight huge crowds, wait in long lines, or have to shell out a lot of money for admittance. It’s all about ditching the stress and the routine of everyday life and making positive memories that last. 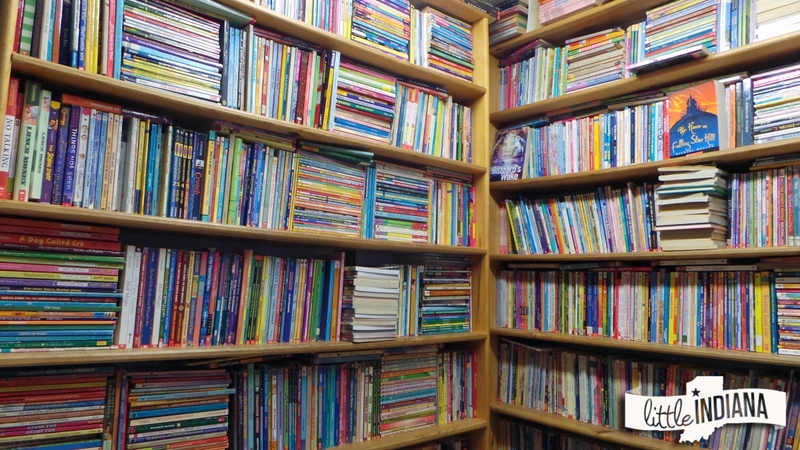 Of course, there are many other unusual and special kid-friendly destinations that could have made this list. But this time, let’s just focus on the following. Maybe the next post will feature your favorite family-friendly Indiana attraction. 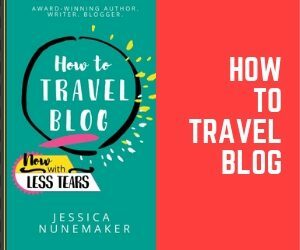 At the very least, I hope you feel inspired to take action, to travel with your family, and to stop letting your kid’s age or stress hold you back. After all, we are just getting started. 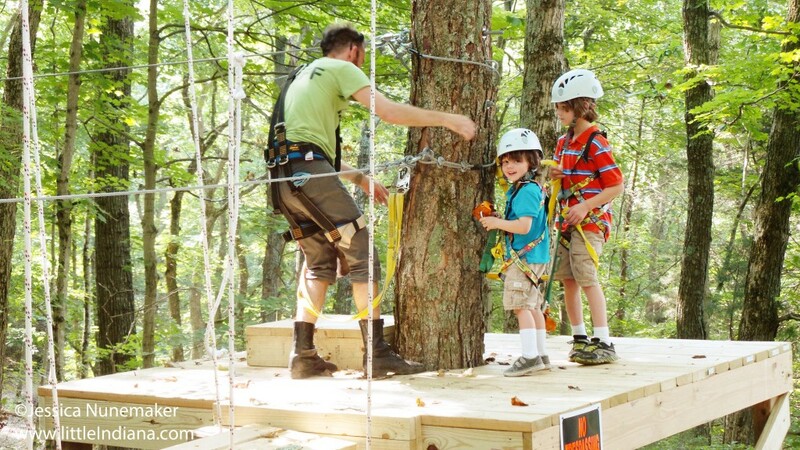 Kids prepare for their own big adventure on a zipline just their size. How many times have you had to say, “You can’t do that until you are older?” I’m guessing it is more than a few. But adventurous kids want to play too! Brave boys and girls can now enjoy a zipline just their size. For those weighing between 30 lbs. and No, it isn’t so tiny that they will feel coddled or babied. Instead, they begin just like the adults and need to get all geared up. Whoever is going to zipline needs to wear the appropriate clothing. You can view more about that at the link above. For the basics, no sandals. You need closed-toe shoes here like sneakers or hiking boots. They will wear a helmet and the safety harness. As you can tell from the image above, it is pretty exciting stuff. 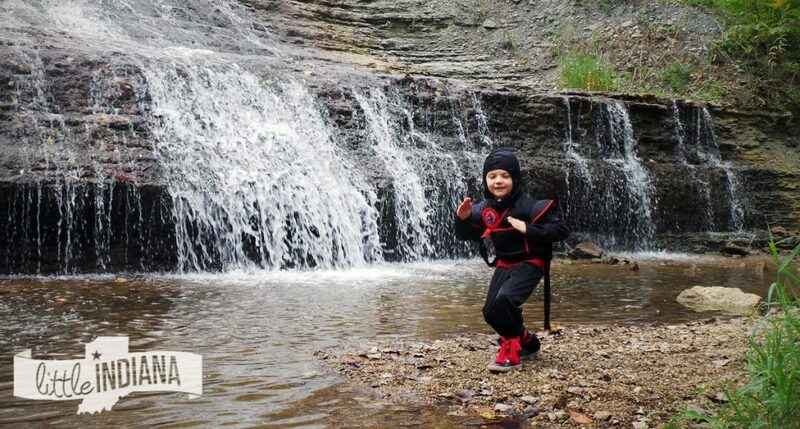 Donning a safety harness and helmet just like the adults is guaranteed to put a smile on any kid’s face. After the kids are geared up and ready to roll, they will learn how to zipline. It’s a smaller space a hop, skip, and a jump away from the actual course to help them get their bearings. After they’ve learned how to slow down and feel ready to take on the bigger challenge, they get to move to the actual kid’s zipline. Just for the record, the adult zipline is made for anyone at least seven years old and weighing a minimum of 65 lbs. They will privately weigh you to see that you make the cut. For anyone feeling a little shaky about the heights, the kid’s zipline is perfect for the elementary school-aged set. You don’t need to worry about safety. Squire Boone Caverns Zipline Adventure heed the Association for Challenge Course Technology (ACCT) standards for installation, maintenance, and operation. You are in good hands here. The staff are nice, funny, and add to the experience. For any last minute jitters, they will help you feel at ease and ready. Take advantage of coupons and group rates for the Squire Boon Caverns Zipline Adventure. When you are all done ziplining, you can easily head to the cavern for a tour. It’s a win on so many levels. Here there be ninjas and fossils. We’re at Whitewater Valley Fossil Hunt in Richmond, Indiana. Participate and your kids can earn a free badge to show their fossil-finding skills. Ninja throwing stars optional. When was the last time you looked for treasure? If you visit Whitewater Valley Fossil Hunt in Richmond, Indiana, it’s almost the same thing. The only difference, other than the lack of pirates but with an abundance of ninja, is that the treasure is fossils. Absolutely everywhere you look at fossils, both big and small. Some are part of large pieces of rock while others are tiny and fit in your hand (or your pocket). Getting started is easy. Grab a Whitewater Valley Fossil Trail Passport at the Old National Road Welcome Center in Richmond or find one at the Joseph Moore Museum on the campus of Earlham College. That museum in itself is worth a look. It’s a peaceful area once you can find it. Located along a road, you can expect a bit of a walk before you get to the falls. You will likely feel as though you are in the wrong place. That feeling will let you know you are doing just fine. It’s just gorgeous here. If you plan your trip for a warm day then bring your swimsuit. On nice days people even swim here. 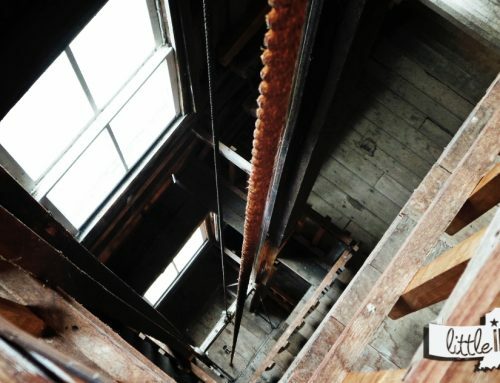 Head back to downtown Richmond for plenty more to see and do. 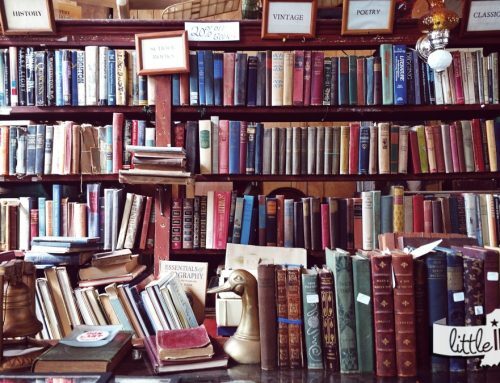 There’s a museum of antique bicycles, a great bookstore, and all kind of shops and restaurants. Yes, even farm to fork restaurants. Main Street Amusements in Lafayette, Indiana has step stools to help. Sometimes, you just don’t want or need a full-on getaway. Visiting the town or city next door is a great way to blow off some steam without all the driving. If you are in the area, and you love pinball, like I love pinball, you can’t find a more way to spend an afternoon or evening than with a visit to Main Street Amusements in downtown Lafayette. When I was a kid, I was also unbelievably cool and bowled two out of three shifts every Saturday. During the middle shift downtime, if I wasn’t helping out for fun at the lane (really, I did nothing more than get shoes, spray shoes, and hand out change. It was fun! I was only 12 and it was like a second home as involved in it as I was). But when I wasn’t doing anything, my dad (who coached) was very free with his quarters. I hate to think of how much money I spent every weekend playing pinball (or Galaga, Centipede, or Street Fighter II). I get to relive those glory days when kids gathered around to watch my skillz. You too can experience the thrill of victory, the agony of defeat, and the satisfying plink a quarter makes when you feed a pinball machine. There are way vintage pinball games here as well as new pinball games and an assortment of arcade games. 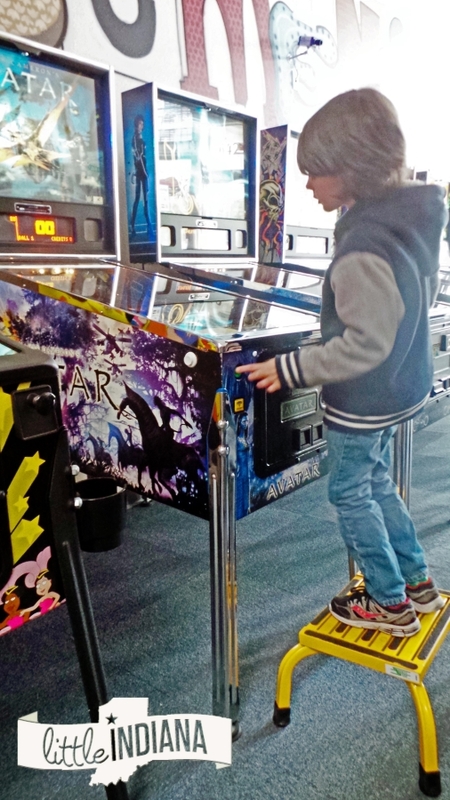 As the owner says, “We work on everything from old electro-mechanical games to the latest games from Stern and others.” So if you have one of your own that needs a little TLC, you know where to go. Our oldest son and owner Christie Froehlichs on the trail in the Hoosier National Forest. 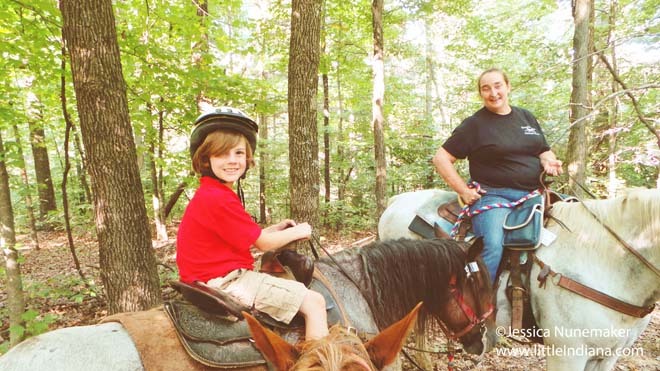 Froehlichs Outfitter and Guide Horse Rides in Cannelton, Indiana are the only authorized Hoosier National Forest horseback riding experience. Try a change of pace. Visit Froehlich’s Outfitter and Guide Horse Rides in Cannelton, Indiana for a horseback riding experience like no other. This is the only authorized guide for the Hoosier National Forest. In other words, you may expect fabulous views, excellent company, gentle horses, and a whole new view of the forest. After all, owner Christie, her husband, and their sons all contributed their hard work to make these trails. That wasn’t the only hard work involved in becoming the one and only guide horse outfitter in all of the Hoosier National Forest. 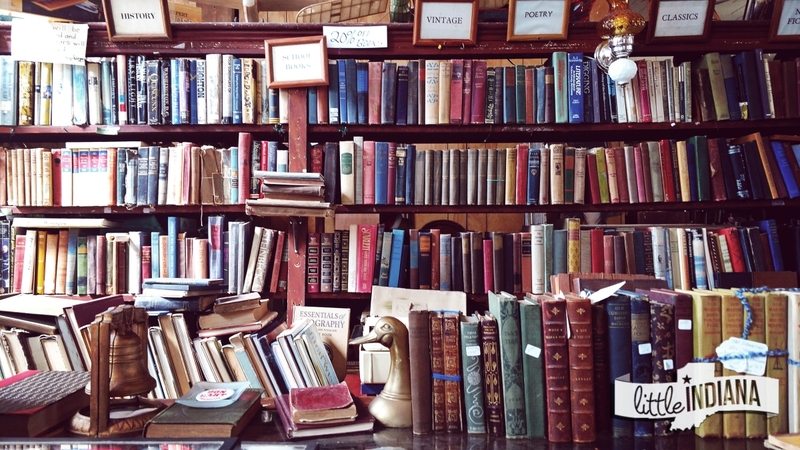 She had to deal with endless paperwork–fourteen years worth of it, in fact. That should give you some hint as to her dedication and commitment to the horses, the trails she has made, and her horses. First-time riders don’t need to worry. Christie knows her horses. She’ll pair you and yours with a horse to match. The youngest of riders can sit with an adult. The horses know what they are doing and where they are going. It’s an easy, scenic ride. There’s an assortment of trail lengths to choose among. A longer tour even includes a peek at a cave. Isn’t that something? If your group is on the quiet side, Christie has said that many people see an assortment of wildlife while riding the trail. For any kid that loves horses, and you know every kid loves horses, you won’t go wrong making your way to Cannelton, Indiana. Spend the afternoon or morning enjoying the trails. 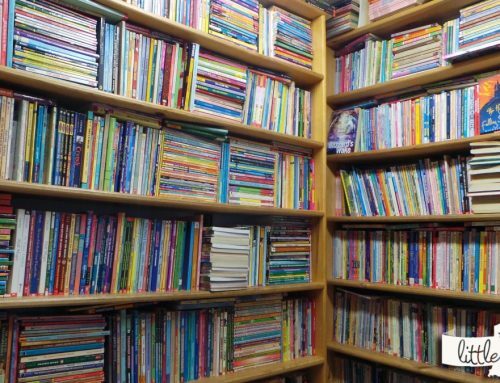 The rest of the time, well, you will find plenty of interesting sites and things to do throughout the rest of the area (and Perry County). 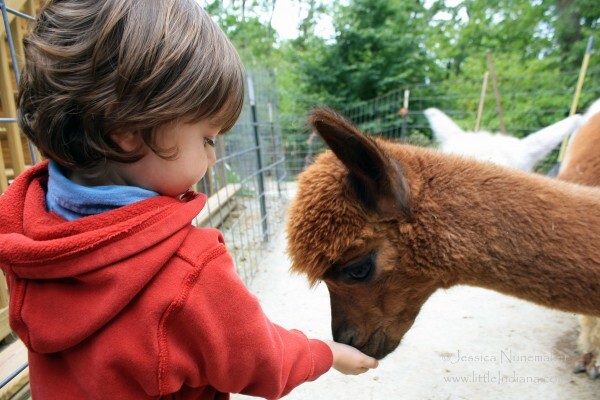 Everyone can feed the alpaca at Whispering Pines Alpaca Farm in Nashville, Indiana. 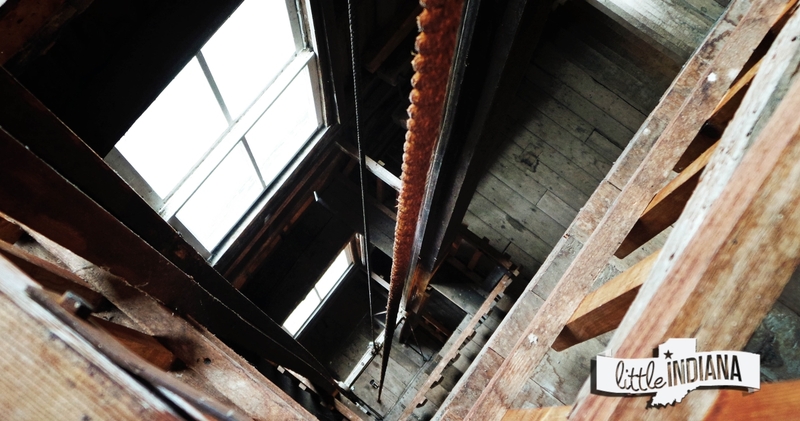 Located away from the busy downtown, it’s a quiet, relaxing, and educational break. You know, exactly what a vacation should be. You’ve been to Nashville, Indiana plenty of times. Most likely you’ve stuck to the usual places. You probably popped into Miller’s Ice Cream House or Fearrin’s Ice Cream and Yogurt Depot, feel inspired at Weed Patch Music Company, and you head over to Schwab’s Fudge for treats to take home. The kids, of course, are treated to Copperhead Creek Gem Mine. But if you venture beyond the typical downtown locales, you and yours have the opportunity to try something completely different. You, my friend, can surprise the fam with a trip to an alpaca farm. When you approach the gate, you’ll see the alpaca perk up. They know what that means! Snacks. Glorious, delicious snacks. Alpaca are gentle, timid, and sweet little creatures. Unlike llamas, who often play the role of alpaca protector at many an alpaca farm, alpaca are so gentle that you can have them eating out of your hand. Did you know that alpaca are so social they would die if split apart from the rest of the herd? Owner Bill knows plenty about the alpaca. You will make your way around the pen, hand-feeding the alpaca, and learning a little something in the process. Little kids, in particular, will be wowed by the experience. After all, these aren’t tiny little animals, like the kind they are used to seeing up close and personal at any petting zoo. Alpaca are tall but those big, heavily lashed eyes keep them from seeming frightening. Is there a special needs child in your family? Owner Bill had shared that the alpaca had treated his recent guest extremely well. The alpaca hurried over to see him. Your child will get a giggle over it too. Call for a personal tour. Now that you know where to go, you can travel like Little Indiana. Think of this as your starting point and then branch out from there. 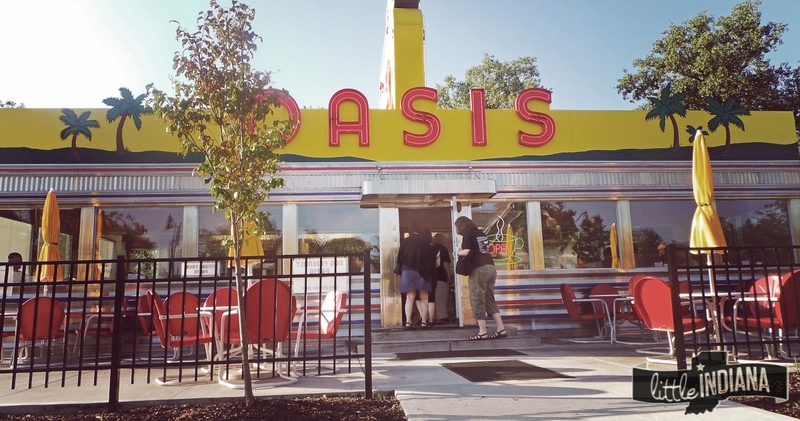 Look for the locally-owned restaurants, cafes, and coffee shops. Let the kids play at the town parks. Make a night of it and stay in an area bed and breakfast. Shop until you drop. And have fun making memories together. You know I’m always interested in learning your thoughts. 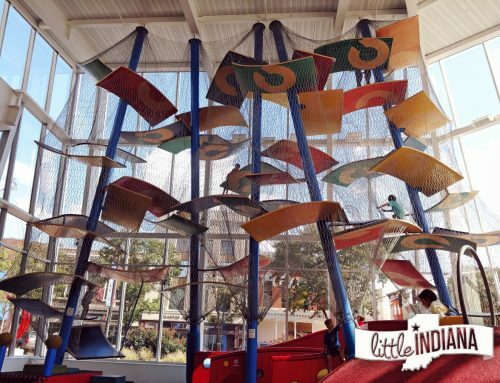 Where do you take the kids when you travel Indiana? Where do you want to take them next? Feel free to let everyone know in the comments below. You don't want to miss this. Sign up for free updates. 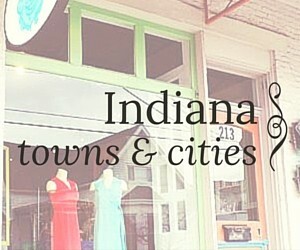 Jessica Nunemaker is the Owner of Little Indiana.com. 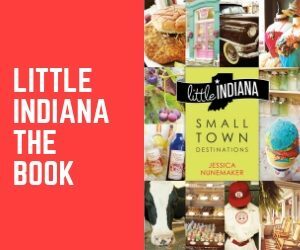 More than a website, Little Indiana is a book, "Little Indiana: Small Town Destinations" (IU Press) awarded first place in the "Best in Indiana Journalism for a Nonfiction Book" by the Indiana Chapter of the Society of Professional Journalists. Little Indiana is also a bi-monthly newspaper column in a local paper and a PBS segment on the former Emmy award-winning program, "The Weekly Special."